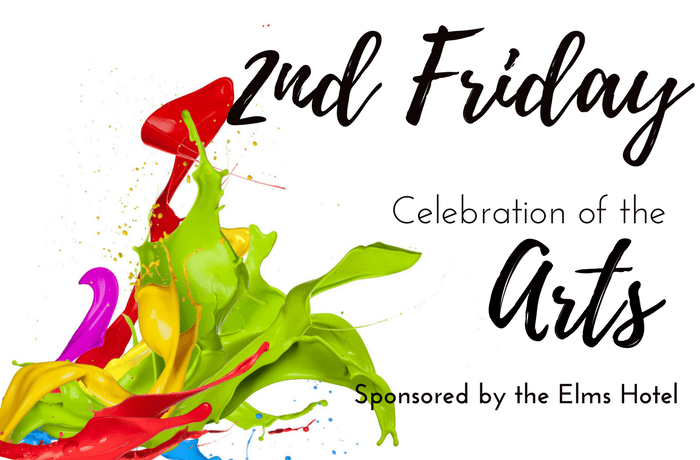 Second Friday, sponsored by The Elms Hotel, is a local celebration of the arts. Beginning at 6 pm on the second Friday of each month (except January & July). This free event includes music, new art exhibitions opening reception, open 3rd Floor Studios and ArtShop. Stay tuned for more information about the Art Exhibits and Music featured at this event!